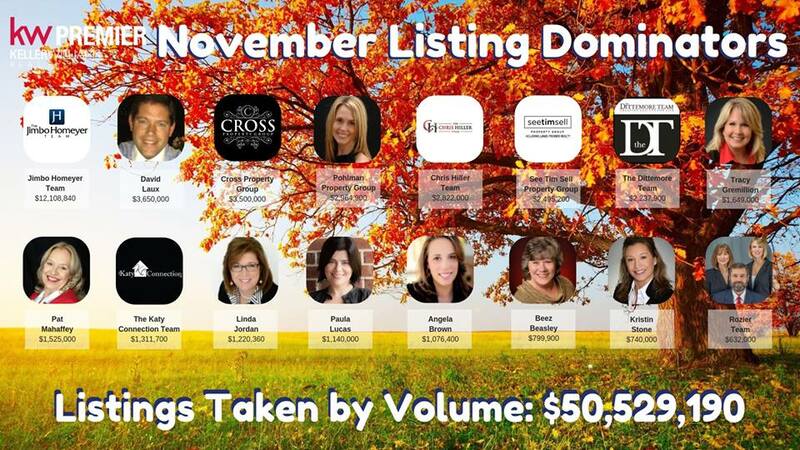 #3 in Listings Taken by Volume! We want to thank our clients for a strong end to 2018! 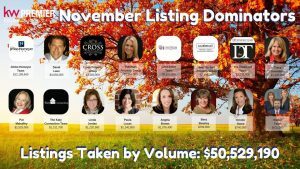 During the month of November, our team listed $3.5 million in homes, earning #3 in Listings Taken by Volume at Keller Williams Premier! 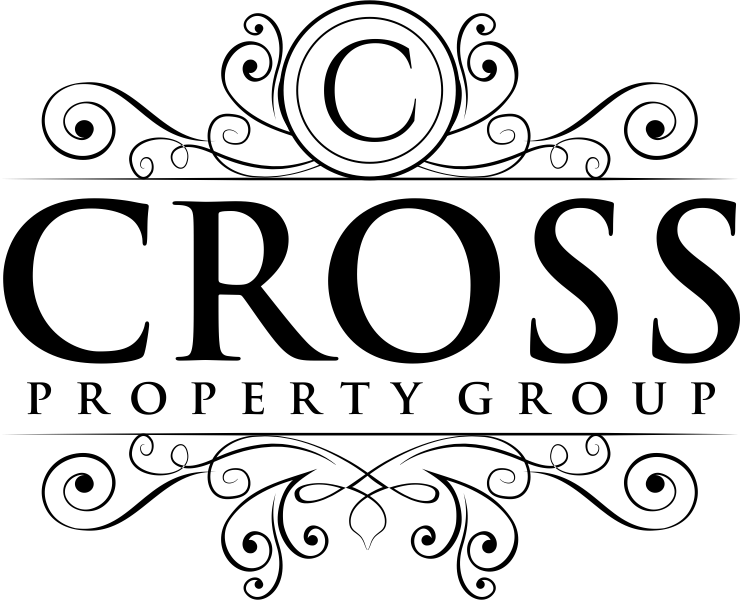 Help us make #1 by listing your home with us!